For the success of Prime Minister Modi’s Swachh Bharat campaign it is important to focus on the issue of civic infrastructure for waste management rather than that elusive “civic sense.” It is a failure of the Government apparatus. Otherwise, we will be beating ourselves up when we find that, a few years hence, Indian public areas are as dirty as when we started off despite our exemplar PM with a broom. With all the noise and fuss about civic responsibility and people wielding brooms the unsightly garbage on India roads is not primarily a behavioral problem, it is a problem of lack of accountability and effectiveness of local Government institutions to build an infrastructure for solid waste management. Here is a recent tweet. Let us take a good look at this garbage. Actually look at it. 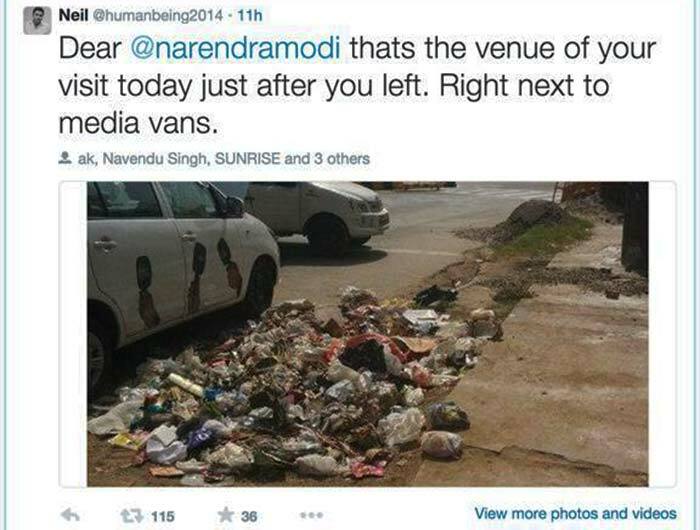 You will notice that most of the garbage on our roads is the garbage of modernity—of packaging, paper and plastic. You will also find that garbage cans and disposal units are insufficient in number and overflowing. Handling this garbage needs a newer system than one that existed a thousand or even a hundred years ago. Why is that we are unable to come up or even adopt the system needed to deal with disposal? The fundamental reason for this is that we have a local Government that simply does not work responsively to people’s needs. While in the private space, we have imported the technology for modernity that produces this paper and plastic on a massive scale, the Government systems have simply not adapted at the same speed. When we import modernity’s garbage-producing capacity, we also need to import modern waste disposal at the same time. We have not put in place an end-to-end system that looks at the life cycle of waste production, collection and recycling or disposal. In the US, disposal has often meant large landfills. Modernity is producing garbage at the rate that we will fill up the earth with garbage so we also need to look at curbing garbage at the source by strongly discouraging non-biodegradable packaging. It is a misconception when people attribute India’s dirt to a “lack of civic sense” or the uncleanliness of its people. On the contrary, Indians are fastidious about cleaning their homes. You will find even the poorest Indians being particular about keeping even mud huts clean. While the dumping of garbage on the street is taken to be lack of civic sense, it is in reality, a lack of civic infrastructure. With properly planned garbage collection, disposal, street cleaning (that discards brooms for modern cleaning equipment) and amply available public garbage bins, the need to litter will decline considerably. An example is that our gated communities which are privately managed are often likely to be much cleaner than the city. It is not that within gated communities, the citizens suddenly acquire civic sense. It is that outside them, public infrastructure is notoriously bad. Many people Tweeted wondering why Jamshedpur, which is privately maintained, is so clean. The answer again, is that it is privately maintained. If privately maintained India is clean and publically maintained India dirty, the problem cannot be Indian culture; it is the Indian state. The Indian state, a continuance of the colonial state, has repeatedly failed us. It is time to dismantle it and come up with one that works for the people. How did this get fixed? It didn’t get fixed by holding civic science lessons for Parisians and ranting about Parisian culture. It was fixed by a massive investment in the infrastructure of the city, particularly its water and sewage works in the form of the Haussmann renovation of Paris, commissioned by Napolean III, which continued till 1927. 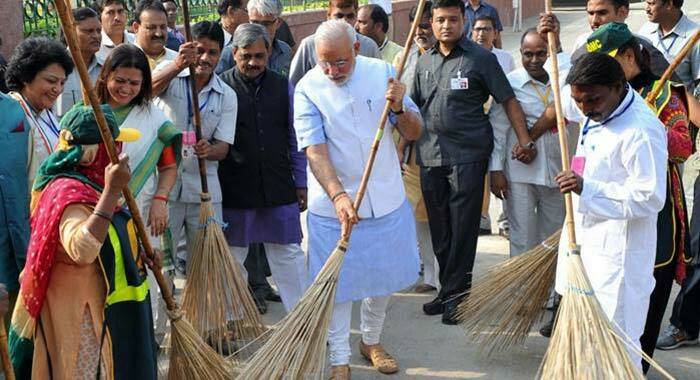 With all of Narendra Modi’s good intentions, broom-wielding politicians are not going to create a swachh bharat. Instead, we need massive investment in solid and liquid waste management in India. I am a stockholder in a US company — Waste Management. 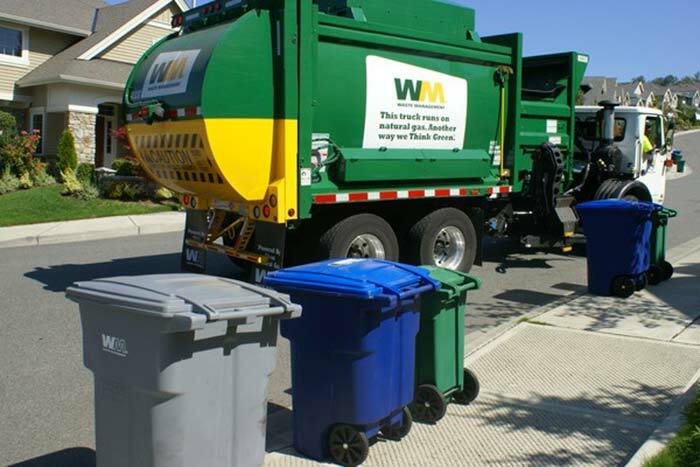 The necessity of managing waste makes it a good investment. This company is also the one that picks up garbage from my curb, sorted by recyclable, compost and landfill. India needs to invite and learn from these kinds of companies. It also needs to fix local governance to make it more effective and responsive. Finally, if we want our sweepers to set aside brooms for modern cleaning equipment, we need to invest in the linguistic infrastructure that brings them modern technology in their own languages, as I recommend at bhashaneeti.org. The problem with our garbage is also a problem of our inability to deal with modernity in our own terms and our own languages. Civic sense will follow the widespread availability civic infrastructure and it is the latter that should be our clear priority. Every city needs to have proper, modern solid and liquid waste infrastructure. It is only then we can realize the dream of Swachh Bharat.